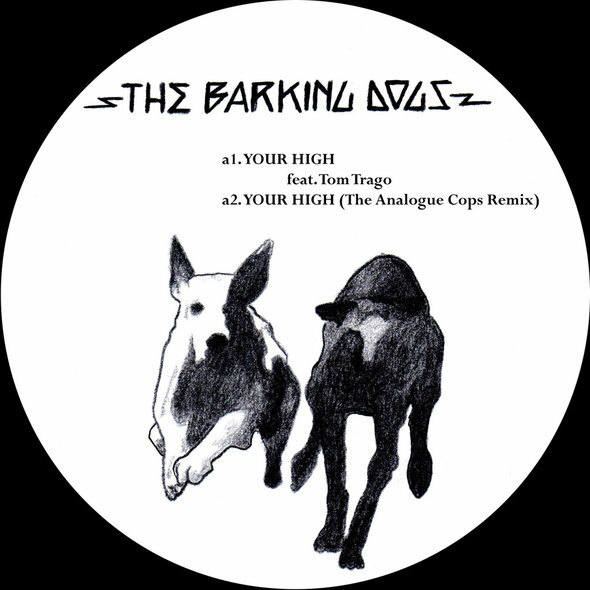 Milanese duo The Barking Dogs return to the Gomma label for a new single featuring Rush Hour’s Tom Trago and a remix from Analogue Cops. ‘Your High’ show’s why the pair have been picking up dedicated support from the likes of James Murphy (DFA), Soul Clap and Toally Enrmous Extinct Dinosaurs. Italian DJ/producers Cristian Croce and Nicola Mazzetti AKA The Barking Dogs have been building a reputation over the past five years. Releasing music through their own Barking Dogs label, running their own Discosafari nights and touring as DJs, the pair is also the owner of one of Milan’s leading record stores Serendeepity. 2012 saw the Dogs join forces with one of German’s pre-eminent electronic music labels, the Munich based Gomma. Gomma have been the driving force behind music from the likes of Munk, Headman, Whomadewho and Dimitri From Paris, pushing the boundaries of nu-disco, house, techno and electronica for well over a decade with a perpetual eye towards the future. The Barking Dogs ‘Mamarracho / Linked In’ single has been one of the highlights of the year so far, generating heavyweight DJ support and being used to open the Radio 1 Essential mix from Total Enormous Extinct Dinosaurs. 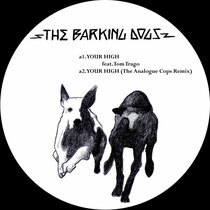 The follow up EP kicks off with title track ‘Your High’ and sees The Barking Dogs team up with Rush Hour artist Tom Trago for an off kilter slice of electronic music. Warm bass, heavily delayed claps and skittering percussion work around subtle vocal edits, abstract piano chords and sonic sweeps to create a record that has a slight unique feel. The original is backed up with a remix from Italy’s The Analogue Cops who create a mix that is a fusion of live elements and techno sensibilities. The EP is completed with two further original recordings, the acid techno/disco of ‘Margherita’ which sees the boys melding acidic analogue lines with jazz inflected techno percussion and ‘Ebony’ which takes things on an interplanetary tangent with its bass driven sci-fi. It's out November 16.